This entry was posted in Canada Immigration and tagged Canada PR Canada Visa on May 14, 2016 by Blog Author. Every year over 3,00,000 overseas employees visit this country on Canada work permit visa. To work in Canada, overseas employees need a work permit. For overseas employees, an offer of job from employer in Canada is normally needed prior an employee might be issued a work permit. There are many steps to obtain a work permit visa and that depends on the overseas employee’s nation of citizenship. Prior a work permit is granted, an employer in Canada who seek to recruit a foreign employee might require to apply for and be issued a LMIA that would issue a positive LMIA if there is no citizen from Canada is available for doing the job. After issuing the LMIA, the employer in Canada could offer a provisional offer of employment to the overseas employee. The employer should send a copy of positive LMIA with the detailed offer of employment to foreign employee. With the documents, the foreign employee could apply for Canada work permit visa. if the employer in Canada which is recruiting is in Quebec Province, the foreign employee might also require to get a Selection Certificate to work in Quebec. There are many occupations in Quebec that are facilitated and entitled for streamline processing. Local hiring efforts do not require to be performed by employers as part of their application for recruiting overseas employees for these occupations in Quebec. The officer of Canada Border Services would grant the Canada work permit visa at point of entry when an overseas employee comes in Canada. In almost every case, individuals with employment offer from employer in Canada should secure a Canada work permit visa. This work permit is granted for duration of days to years. In many cases, process of applying for work permit is double. Employer needs to get permission from the government to recruit an outsider. Once the permission is granted, employee should apply for and get their work permit. Employee should work for an employer which is specified on their work permit. 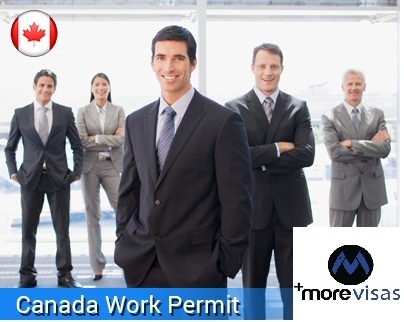 If any individual finds different job they should apply for getting a new work permit to do another work in Canada.